Is time to freshen up your home's exterior? 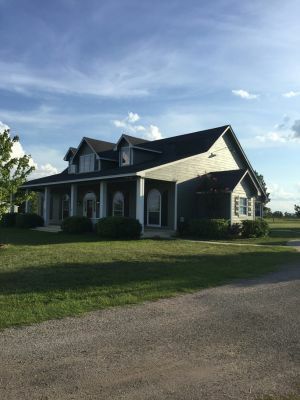 Exterior painting in Jersey Village, Texas is our specialty! Call the experts at First Choice Painting & Remodeling and we'll spruce the exterior of your building with a fresh coat of paint. A preferred exterior painting contractor since 1997, trust the experts at First Choice Painting & Remodeling to get the job done right! Having your exterior painted with precision and care is easy when you call First Choice Painting & Remodeling. Our mission is to become the "go to" exterior painter in Jersey Village; The one people trust to deliver on promises and complete your exterior painting project with passion and integrity. We appreciate that happy customers are what keep our business thriving. Give us a call at (832) 271-4712 to schedule a free exterior painting quote and discover our passion for your happiness. Call First Choice Painting & Remodeling for a Jersey Village exterior painting quote and find out how inexpensively your project can be done. Applying a coat of paint to your home, doesn't have to be expensive. We offer exterior painting services in Jersey Village that are attractive to your eyes AND your budget. Give us a call at (832) 271-4712 for suggestions on keeping costs down, while making your home beautiful. Painting exteriors in Jersey Village since 1997, First Choice Painting & Remodeling will be accessible and attentive throughout the process. After arrive at your convenience and deliver a quote, we'll be prepared to place you on the painting schedule as quickly as possible. We thoroughly prepare all surfaces prior to painting. Your building will be pressure washed, sanded and prepped as needed to ensure the surface is clean, smooth and ready to accept paint. Primer will be added as indicated, followed by durable paint of your choosing. Your shrubs and outdoor furnishings will be left just as they were found. We'll do a final walk through with you to ensure your complete satisfaction. Call First Choice Painting & Remodeling today to get started at (832) 271-4712.